Soccer is quickly becoming one of the most popular sports in America, and some of the area’s top coaches and players have joined together to create a fun, yet serious environment at Schoolcraft College where local kids can develop their soccer skills. Photo credit to Nathan Gartner (Photography Editor). Owned and directed by Schoolcraft men’s head soccer coach Rick Larson, the Victory Soccer program provides skill training for age groups ranging from 7 to 15–year-olds. The camps are set up to accommodate players of all skill sets, with drills for elite-level players looking to impress college coaches as well as fundamental activities designed for recreational players. 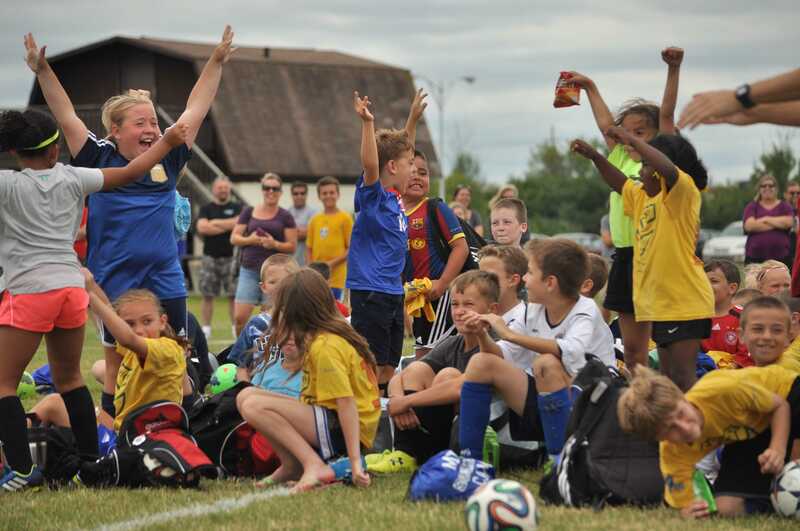 Victory Soccer camps are conducted at Schoolcraft’s main campus facilities throughout the summer; utilizing the several soccer fields along with classrooms for film studies, and the pool for a little bit of fun between sessions. Larson does not run this whole operation by himself though. Coaches from a variety of local soccer programs and schools help coach and oversee the camps. Coaches for the Michigan Wolves and Hawks, Michigan Rush, AC Milan Detroit, Madonna University, Schoolcraft College, Western Michigan University, University of Detroit Mercy and several local high schools are involved in improving the skills of the camp attendees. Not only is the wide variety of organizations involved with this program impressive, but so too is the ratio of coaches to players. With a coach for every 10 players attending the camp, the kids get a personal training experience that aims to improve players, both mentally and physically. The Victory Soccer program’s name also has an interesting history. In 2007, Larson and his family were vacationing in Australia, where the name of the local team of where they were staying at was the Melbourne Victory. Larson was inspired by the organization and thought it was a cool play on words, and after changing the team’s crest slightly, he founded the Victory Soccer Program. “It fit in very nicely to call the camps [Victory] and to launch something that had meaning to me personally,” Larson said.